When you have an amazing teacher, it is only natural that you would want to send a thank you letter. You cannot be with your child all the time, and someone has to take on the role of teaching your child new information. A good teacher can make a huge impact in the child’s life, so it makes sense that you would want to express your gratitude. Each thank you letter to teacher from parent can help you show just how important you think that your child’s teacher is in their life. 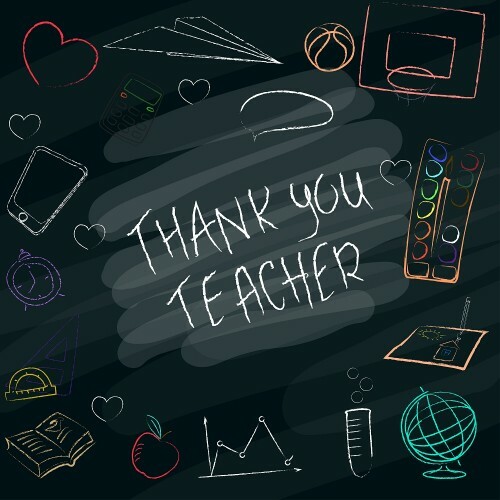 Whether it is a teacher appreciation day or you just want to thank a teacher for extra work, you can use a thank you letter to teacher from parent to figure out what to say. You can write these in a letter or use them in a card attached to a gift for the teacher. A teacher’s job often feels thankless, so make sure that you let your child’s teacher know just how much you appreciate them! 1. As parents, we might work as engineers, doctors and scientists, but nothing can really compare to the sacrifices made by a teacher. Your job is responsible for nurturing young minds and contributes more to the nation’s development than we ever could. Thank you for all of the things that you do—our daughter/son really loves your class. 2. We are so happy that our child loves going to school so much. When school first started, we were so nerve-wracked. Would she/he like school? Would she/he have friends? When she/he instantly started loving school and going to class, we were so happy. We know that we have you to thank for making our child enjoy going to school each day. From the rooms you decorate to the activities you plan, you have made our child think that school is fun. Everything you do is so important to us, and we just wanted to thank you for it. 3. Thank you for all of your patience and time. When we are too busy to help our child learn, thank you for being there to help with homework and guide them. Thank you for staying behind to help and for always making sure that he/she does his/her best. Because of you, our child loves school and we cannot thank you enough for that! 4. As our child grows up, she/he has learned an important life lesson. From your class, he/she has learned how important learning is and how much he/she loves to learn new things. This skill will carry over to a lifetime of learning and education, so we cannot thank you enough. You have encouraged and supported our child in so many ways. Through your hard work, our child is moving on to the next grade with so many amazing stories to tell. Thank you so much for filling each school day with enthusiasm, fun and love. Thank you! 5. People always talk about how hard being a parent is, but we really think that we have the easy job. We are constantly rewarded as we watch our child grow into a strong, confident and intelligent woman/man. Our rewards are unlimited. We think that teachers truly have the hardest job. You work so hard for a short time, and you can only hope that your hard work has planted the seeds of wisdom within each child’s mind. You might see some of the rewards now, but many of the fruits of your efforts will not be apparent for years. Your work, wisdom and passion help children to become better human beings. Thank you for all of your work, sacrifice and energy! 6. Thank you for your friendship, guidance and discipline. We cannot always be with our child, but we know that she/he is loved and cared for when she/he is in your class. We have watched her/him become more confident and strong during the last few months. Each day, it seems like she/he always has something new to share. When we ask where he/she learned it, she/he always says that you taught her/him! Thank you for taking the time to teach our child and for helping him/her become the best that he/she can be! 7. Thank you for being such an excellent educator. Our child may only have spent a few years in school, but we already realize that teachers like you are impossible to find. Thank you! 8. We appreciate all of the patience, time and energy that you put into teaching. Even when the topic seems dull and boring, you empower students to learn and have fun. You demonstrate each and every day what it takes to be an amazing teacher. Thanks! 9. The love that teachers like you put into their work is the true difference between just educating and teaching. A classroom can survive without a computer or an iPad, but it would never be a place of learning without an amazing teacher in it. Thank you for always educating, empowering and teaching our child. You are truly irreplaceable! 10. I just wanted you to know how irreplaceable you are for our student. We are so grateful to have a teacher who engages children and makes each child so excited about learning. We love seeing our daughter/son come home from school with so many amazing things to say about class. He/she is always so excited to share everything that he/she has learned. Thanks! 11. I know that your job might not always be easy, so I wanted to tell you how much I appreciate all of your hard work. Because of you, all of your students have a positive, engaging learning environment. Thank you so much! 12. I hope you realize just how amazing you are. We quickly realized that you were our child’s favorite teacher. Over the last few months, we have loved watching all of the positive changes you have made in her/his attitude, outlook and knowledge. We know that we have you to thank for all of this. Thanks for your loving guidance and hard work! 13. No card or gift could ever say just how much we appreciate having you as a mentor to a child. You are not just a friend or a teacher. You are a mentor, a cheerleader, an educator and an example of what an amazing person is like. Thank you for everything that you do! 14. We picked this gift with care to thank you for all of the work you have put into helping our child grow. Thank you for your constant understanding and your support. You always show our child that you are there for them and care for them. We might be able to put our child into the best school, but that wouldn’t matter unless he/she had the best teacher as well. We are so lucky that our child has you as a teacher. 15. I wanted to tell you just how much I appreciate all of your efforts. You have made a huge difference in her/his life. We cannot possibly tell you all of the changes that you have made. Thank you for all that you do! 16. You do not just educate my child. You teach her/him the importance of learning and getting an education. You are always so considerate and kind, but I know that you can be strict when you need to. Because of you, my child is being molded into a good human being. Thank you so much—I am so grateful to you. 17. A good teacher is someone who looks like a parent, thinks like a student and acts like a boss. You are an amazing teacher, and our child is so lucky to have you in his/her life. Thanks so much! 18. Our children our protected from bad influences because of teachers like you. Your example, love and guidance make all the difference. Thanks! 19. I am so blessed that my child has a teacher like you. Each day, I witness all of the ways that you change his/her life for the better. Thanks! 20. I am infinitely relieved that you are my child’s teacher. Your nurturing, kindness, guidance and intelligence are molding my child into an amazing human being. Thank you so much! 21. Thank you! You make a difference in each child’s life who walks into your classroom. Because you care so much, you help our child to trust herself/himself and to believe in his/her dreams. Thank you! 22. It is so comforting to know that someone like you is there to guide my child. I know that she/he is entertained, engaged, happy and entertained when I cannot be there. Thank you for always going above and beyond the call of duty! 23. If every teacher in the world was like you, the world would be a better place. Every child would have proper values and an excellent education. Thanks for all that you do! 24. I just wanted to let you know just how much we appreciate all of the work that you do. I know that we could never say it enough, but you are the best teacher that our child could possibly find. Thank you! 25. We look back on this year with so much appreciation and gratitude. You are a brilliant teacher who touched each student’s life in an amazing way. While the curriculum was just raw material, you gave it warmth and life. Thank you so much! 26. Each child is a seed. When nurtured properly, they grow into brilliant, amazing human beings. Because of your compassion, intelligence and nurturing, we know that our child has the best start possible in life. Thank you! 27. We are so grateful to have you as our child’s teacher. You are more than just an educator, and we cannot thank you enough. 28. Thank you for all of your efforts this year. Because of you, our child loves school. Your dynamic lessons make her/him excited to learn and participate. Thanks! 29. Thank you for always being such an amazing teacher for my child. We knew that this was a good school, but we never expected to find such an amazing teacher as you. Thanks! 30. Dearest teacher, thank you for not making our student learn what you want to teach, but teaching her/him to want to learn. You are incredible! 31. We are so grateful that our child has such a great role model, mentor and teacher in her/his life. Thank you! 32. It is impossible for me to thank someone who has spent so much time and energy helping my child grow. I am so unbelievably grateful for all of the work that you do. Thanks! 33. They say that a teacher plants seeds of wisdom that grow forever. Thank you for being such an amazing gardener! 34. The school year is coming to an end, so I wanted to take a moment to thank you. I am so grateful for your patience and dedication. You have given my child an amazing year in your class. Thanks! 35. How could I possibly express my appreciation for someone who has put in so much time and energy into helping my child grow? Thank you so much for all of the things that you do!